1. 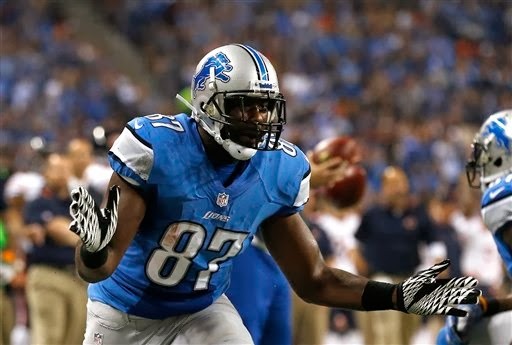 Re-sign tight end Brandon Pettigrew. Mayhew said that getting Pettigrew back for a seventh season is a priority. Still, the price must be right. The Ravens re-signed tight end Dennis Pitta to a five-year, $32 million deal on Friday. 2. Then onto getting defensive end Willie Young back on the roster. Young, a seventh-round draft pick in 2010, had his best season in 2013 with 15 starts in 16 games and career-highs with 47 tackles and five pass defenses. He also matched his previous high of three sacks. Young is more comfortable at left end, but he started the season on the right side before Ezekiel Ansah was ready to start. 3. Check to see if Ndamukong Suh has hired an agent yet. Mayhew is waiting so they can get started on contract extension talks. Suh fired his long-time agents Eugene Parker and Roosevelt Barnes several weeks ago. 4. Work on extending qualifying offer for restricted free agent Joique Bell. These tenders must be made by March 11. Mayhew said at the Combine that Bell will be back. Mayhew would like to work out a long-term deal, but either way he will return. 5. Make decisions on veteran cornerback Rashean Mathis, UFA; backup quarterback Shaun Hill, UFA; tight end Dorin Dickerson, RFA; tackle Jason Fox, UFA; wide receiver Kevin Ogletree, UFA.